BALTIMORE (CNS) — The Supreme Court’s ruling that rendered the federal Defense of Marriage Act unconstitutional, and the Senate’s passage Nov. 7 of the Employment Non-Discrimination Act put the legal defense of marriage “at a critical point in this country,” said the archbishop who heads the U.S. bishops’ Subcommittee on the Promotion and Defense of Marriage. The Supreme Court’s DOMA decision is now being used to judicially challenge marriage laws in more than a dozen states that still recognize marriage as the union of one man and one woman,” said Archbishop Salvatore J. Cordileone of San Francisco. The bishops, though, voted 203-17, with five abstentions, to extend through 2016 a “Call to Prayer for Life, Marriage and Religious Freedom,” originally intended to coincide with the now-ended Year of Faith and was itself scheduled to end with the feast of Christ the King Nov. 24. One remedy, he said, could come in the form of the Marriage and Religious Freedom Act, which would bar the federal government from discriminating against those who “act upon their religiously motivated belief that marriage is the union of one man and one woman, or that sexual relations are properly reserved for such a marriage.” The bill’s scope would include protection for individuals and organizations, both nonprofit and for-profit. 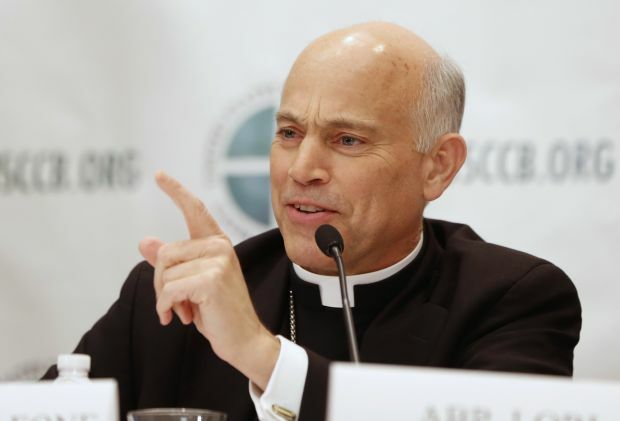 Archbishop Cordileone said the Friday fast reminders were “one of the most popular regularly scheduled viewed items ever” on the U.S. Conference of Catholic Bishops’ website. As to its flexibility, the call to prayer was able to incorporate Pope Francis’ plea for peace in Syria this summer.